The Bic Scapa Eski - great for keeping drinks cold! 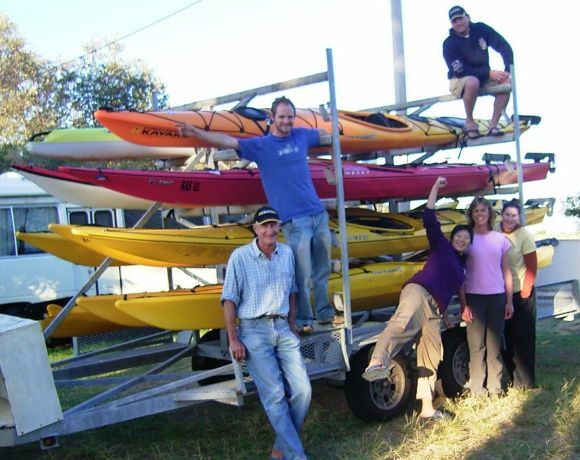 Is there no end to the wonderful things we can do with kayaks? 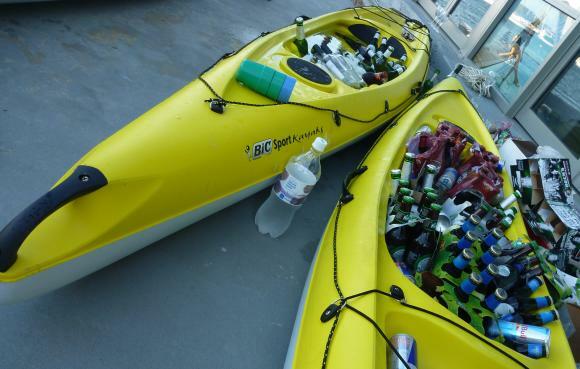 At a recent beach party with Sydney Harbour Kayaks yet another ingenius use for kayaks came up – the bulk drinks eski! 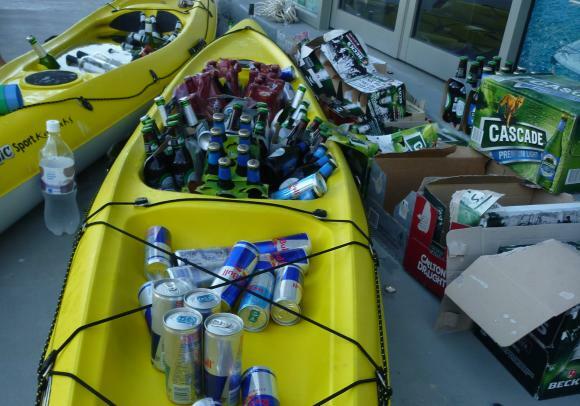 Not only could you fit several cases of beer and Red Bull in each kayak, they make a great looking centre-piece for your party. Huge capacity for beverages! Woohoo!